This week`s Build a Seam (BAS) Challenge stitch is this laced stitch. I used this on my little quilt from the last post and I am loving working with these bright colours. 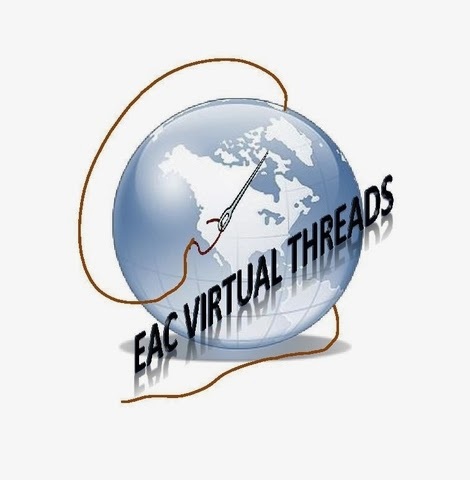 It is pretty simple, consisting of three or more rows of running stitch and then threading another thread up and down through the running stitches. I used four rows of running stitch because I had four colours of silk thread I wanted to use. I also used silk for the thread I wove up and down but I did it twice because I didn`t get enough of the colours from the variegation showing on only one run through. This is a quick, fun seam treatment - enjoy! I thought it might be interesting to explain the process of how I built this little quilt. Not a quilt actually, only 9" X 12", so really only a very small wall hanging. This one started with this cross stitch picture I came across at the thrift store. I felt compelled to "rescue" it because it really is nice handwork, very well stitched on linen. So, I brought it home and took it out of the frame and washed and pressed it. I was very happy to find a nice allowance of fabric all the way around - sign of a good framer! - so I was able to use the linen around the outside as a backing for a crazy quilted border. I wanted this to be a cheerful piece that would be nice for a baby or child's wall, so I chose quilting cotton batiks in bright colours for the crazy quilt patches. I had a friend visiting while I was putting the crazy patch together and didn't want to drag out the sewing machine so instead I basted all the patches on by hand. I wasn't too excited about the way the edges came out but I don't worry about that unduly. For me the crazy patch is just a canvas for the stitches and I trust the seam treatments to tie it all together visually and make it work. Starting at one edge of the seam line I want to secure, in this instance the blue patch wanting to be secured to the linen background, I bring my needle up from the back of the linen and take a bite of the blue fabric, slipping the needle in the fold of where the fabric is turned under. Take your needle down again through the other fabric (the linen) as close as you can to where you came out of the blue. Take a bite of that fabric (the linen in this case) and bring your needle back up. As close as you can to where you brought your needle up (from the linen), you take another stitch in the blue. Carry on back and forth like this, making sure that your needle goes up and down right next to where it came out. The end result is a secure seam and the stitching that holds it in place is almost invisible. What you can see of the securing stitching easily disappears when you do your seam treatment. After this, it was time for the seam treatments which I had a lot of fun with since they were short and quick to do. I'll share some of the seam treatments in the next post! Chained Fly is an interesting stitch, or perhaps more accurately a stitch combination. Begin by making a row of fly stitch such as I have done along this seam. Add a second row, back to back with the first, situated so that the rails of the two rows of fly stitch create a series of close bars. Lastly, add a row of chain stitches done over each of the bars. I have done the chain stitch in a different colour here so that they are easy to see. Enjoy! 1. This year I am going to continue with teaching crazy quilting that I started last year. I will make as many opportunities for myself as I can to do this. I am also going to build a workshop or class around a specific project that I'll design and submit an application to teach it wherever the opportunity presents itself. This was more of the same as last year - just stretching further with it. I submitted classes proposals in the spring but none of them got sufficient registration to run – very disappointing! However, I shook myself off and set to re-tooling the classes, adding a few, changing a few and leaning some more towards a Christmas theme. As of now, I have nine accepted in local communities – just have to wait to see how the registration numbers go. I am also working on a project to build a two day workshop around and I’ll get very adventurous on where I submit that one! If anything exciting happens in that regard I’ll keep you posted. I had forgotten all about this goal! Eeeeek! Happily, I have a couple made already, like the wine charms I posted this week, and few more in the planning stages. If my courses run, I will have a frantic October and November so I had better get moving on this now in a big way! Ummmmm..... okay, not yet. And I kick myself too because I feel pretty strongly that the best way to promote crazy quilting is to get them out there where they can be seen and appreciated. So, I definitely need to work on this and enter it wherever I can after that so it gets some exposure. I hate piecing and I know that is what is holding me up so I better plan a piecing marathon. 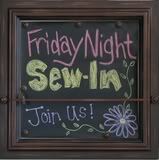 Since I have signed up for the Friday Night Sew-In this week (or was it last week?) maybe I can start piecing a few then. I blew this one too so I guess I will hold it over and get it ready for next year. 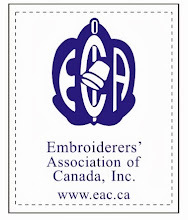 Okay, so there is a name tag contest for my guild in Calgary in September I want to enter and a stitched EAC logo contest so that is two. I better start hustling on this one too! If you look in the dictionary under “procrastination”, you will find my picture. That must be obvious to everyone – it is to me! Time to get off the pot and get stitching ...and writing...and designing! I am actually on track and even ahead of the game on this one! I have made four or five AAQI quilts so far this year as well as something for the school auction, the library auction, and the gift shop at the hospital. So, all I have to do is keep it up. Having joined the Quilt-a-Month Club at AAQI has really made this an easy goal to attain. I still can’t say enough good things about 15 minutes a day of stitching but I have been failing to meet that goal lately. The constant rain and cold and loneliness of working out here at the campground has me falling into depression and it is hard to stitch – or do anything else! – when you are busy dancing on the edge of the abyss. But, the sun is out for the second consecutive day so maybe summer is here at last and I will perk up. I DID IT!! Not done by any means, but everything in there was taken out of the cardboard boxes and sorted into blue plastic tubs with like items. Now, it was my intention to bring one of those tubs out here to the lake each week this summer and sort it further but that hasn’t happened yet. It is all well and good to have a 20 gallon tub filled with threads but if they aren’t organized any further than that, try to find the specific one you are looking for! However, my work table is set up with the sewing machine and ironing station, the tubs are stacked neatly, fabric all folded and sorted, and the overflow is gone from the library – sucked back into the sewing room where it belonged! Urrrr... I was feeling really good about the last goal and now I read this one. I have totally let the shop stagnate and the listings expire because I was so discouraged with it. Okay, back on the list it goes! Totally forgot this one too – why did I make so many!? Was I high?! I have taken care of a few UFOs and will take this as a reminder to get at it with the rest. Long post, and not overly interesting but you gotta do what you gotta do and this helps me stay on track – or get back on track in this case! How is anyone else doing on their New Year Goals? When it has been raining for a straight week, you need something quick and easy to put together and these wine glass charms were just the thing! They are from Annie’s Attic Simply Beading monthly kits and were just about what I was looking for to add to some wine glasses for a Christmas gift I had in mind to make. Basically the kit consisted of springs, glass beads, charms, t-pins and crystals. The crystal was threaded onto the t-pin and then a simple loop was made in the t-pin. Next I stretched out the spring so the rings were approximately ¼ inch apart. I formed another simple loop at one end of the spring, attaching the crystal before I closed it. It was simply a matter of threading on the beads then and when the spring was full, making one last simple loop at that end of the spring and attaching the little hand painted charms. I quite like the end results – the colours of the beads really appealed to me, especially the blue/green mix which I thought resembled sea glass. I am happy to say the sun shone today for awhile – only one brief thunderstorm to contend with. The next two days are supposed to be fine weather so I am hopeful I’ll get out on my mower at last and start cutting down some of the long grass. Some areas are not going to be cut for a few days yet though, like this campsite. This is an example of some of the flooded areas I am trying to contend with. The long strip of water running horizontally throughout the photo is the roadway. I managed a couple more books in my summer reading – one good thing about poor weather! The first one, Handling the Undead, is by a Swedish author, John Ajvide Lindquist and was another of Janet’s recommendations. Nice to have a friend who works in a bookstore and can pass these titles on to me! I thoroughly enjoyed this story constructed around a very novel idea. I won’t give too much away but I’ll tell you that Lindquist is to zombies what Anne Rice is to vampires - well worth reading! The second book which I read this afternoon is One Day in the Life of Ivan Denisovich, written by Aleksandr Solzhenitsyn. This novel won the Nobel Prize for Literature in 1970 and follows one day in the life of a prisoner in a work camp in Stalin’s USSR. It was well worth re-reading so I was happy to come across a copy of it I could pick up on my travels this morning. Morley & Me, which is a dog story and you will need to stock up on kleenex before you watch it. I'd recommend both of them! 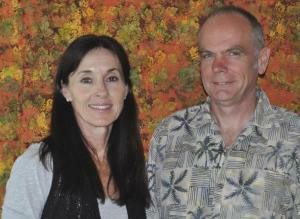 Moira and Adam Dewar of Island Batik, Inc. have donated $25,386.00 to the Alzheimer’s Art Quilt Initiative! This is the largest donation to date. As in EVER! Moira and Adam have been proud supporters of the AAQI through the Rose of Sharon project and have donated fabric for “Alzheimer’s Illustrated: From Heartbreak to Hope.” But this! OH MY GOODNESS!!! AAQI is ecstatic! Jump-up-and-down happy! Over the moon! THANK YOU! There are an estimated 5.4 million Americans with Alzheimer’s. One in eight people age 65 has the disease. Right now. If you are a Baby Boomer, your age cohort is turning 65 at the rate of between 7,000 and 10,000 people a day. Chances are high that you will spend your retirement years either struggling with this vile disease yourself or taking care of someone who is. Let Island Batik’s commitment to fighting Alzheimer’s be a challenge to every quilting industry leader to support the Alzheimer’s Art Quilt Initiative. AAQI funds research directly. 100% of the money that funds AAQI's research goes to budget, nothing to overhead. AAQI is run by volunteers and they spend zero money on fundraising. We are quilters doing what we love to do and making a difference. HELP US! True Grit, written by Charles Portis: If you like the movies, you'll love the books. Much better exploration and understanding of the character of Maddie and a better ending! My Name is Mary Sutter, written by Robin Oliviera: a good Civil War novel! If you have any suggestions, I`d love to hear them too! If it doesn`t stop raining here, I am going to get a LOT of reading done this summer! My friend, Ilys, came across a book sale at one of the local guilds where they were getting rid of books for $1 each. Knowing my obsession with lace, she picked these ones up for me. and an autographed copy, no less! and last, but not least, An Introduction to Lace by Gabrielle Pond. I am tickled pink with these books and very thankful to Ilys, but it saddens me that the guild felt they had to pare down their library so much that they got rid of these great reference books. These are the two latest art quilts I have made for The Alzheimer's Art Quilt Initiative. They are entitled "Distress I" and "Distress 2". One of my favourite things about making these little quilts for AAQI is that the small format gives me the opportunity to experiment with different techniques and materials. These two are the result of my playing around with Tyvek. Yes, if you are not familar with it, Tyvek is that plastic material that some mailing envelopes are made of! It is also used in ways I learned at the Fabric Manipulation class I took at EAC Seminar this year. For each quilt, I took half a sheet of Tyvek and painted it on both sides with three colours of metallic acrylic paint. I then cut random shapes out of the Tyvek. For Distress I, I used triangle shapes and for Distress II, I cut organic, plant-like shapes. I sandwiched the quilt together with a beautifully slubbed, grey Italian silk on the front and the back and a thin batting between. I placed the Tyvek pieces as I wanted them and caught them in my quilting lines as I stitched, just enough to hold them in place but not enough that they would tear apart when I distressed them with the heat. I used a craft heat gun to gently distress the Tyvek, which caused it to bubble and ripple, changing its shape and intensifying the colours a bit. After that, it was just a matter of adding the Fast Finish Triangles and the binding from the same silk. Binding is not usually my favourite thing to do but this time it was a pleasure. This Italian silk was beautiful to handstitch on! It needled like butter, had a weight and feel like taffeta and the sheen! There is something about holding a nice piece of fabric in your hands that just makes everything seem right with the world. Just an update: I am happy to say that "Africa", my AAQI quilt for April, has sold and that my quilts have now raised $155.00 towards my $1,000.00 Pledge! I am looking forward to meeting that commitment and it seems it won't be as difficult as I first thought. For more information on how you can help AAQI, please check out their website. Done at last! Well, actually, I don't think this block will ever be done in my eyes so I have decided to just declare it done! 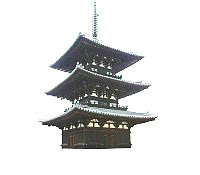 lol I still see where a couple birds would be nice in the sky above the pagoda... a spider on the turned over leaf on the lace... and so on and so on. BUT if I don't want this block to turn into my life's work, I have to stop somewhere so last night I decided this was it. It is going off in the mail before I change my mind! The plans I had for the block changed along the way. I extended the geometric design further than I had thought too originally. The plan for the tree and the Sendai skyline went by the wayside along the way. The fan was added at the last minute - inspired by the beautiful vintage fan designs in Ms. Carole Samples' books. So, for better or worse, here it is! Ta-dah! Hopefully I will now get back to posting some stitching of different things rather than the same block over and over... Thanks to all for your patience while I struggled with this very "slow cloth". I definitely need to make some progress on my UFOs so I have signed up for the Friday Night Sew In (FNSI) for next week on June 17th. Pull up a chair, put your feet up and join me in some qualaity stitching time! Signups here. The June AAQI auction is over - hats off to everyone who made a quilt or bought a quilt this month! 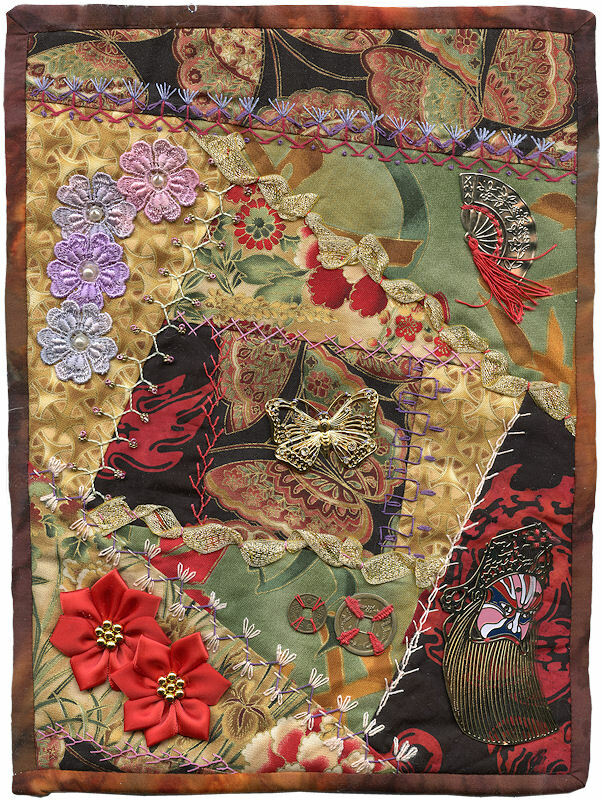 My little Asian Dreams quilt raised $110.00 for AAQI to be directed to research into Alzheimer's Disease. I am thrilled! It stopped raining for a day and a half so it was nice to be able to get out and get some mowing done. I had to quit though since I broke the mower.... again! Just goes to show I am not good with machinery and I should be stitching instead. This little guy sneaking a snack from Oreo's dog dish is a Striped Ground Squirrel, what we call a gopher here. The stripes are unusual though - usually we have Richardson's Ground Squirrels, which are tan all over without the stripes. This guy is really cute and looks quite like a chipmunk. We have christened him Southwest since he reminds us of the patterns you see in the southwest style of decorating. I had been wondering why Oreo had been ignoring his dog food and then running and eating Bear's as soon as he came inside. I had put it down to being perverse but now I think I know what he is up to. Oreo has, well, shall we say, a taste for gophers and now I think he is using his dog food as bait. Southwest has been hanging around our campsite for a couple years now so hopefully he is too clever to fall for Oreo's trap. I thought it might be interesting to see how the beavers take down the trees. Basically, they just chew right through them with those big front teeth of theirs, shaving off a bit at a time. Once they bring the tree down, they take the smaller branches to eat and build their dam. This was a big tree they took down and, sadly, when it fell it broke one of the other trees off - one of the few that had wire around it to protect it from their teeth! You just can't win sometimes! I don't have a lot of stitching to share since I am still working on my Sendai block, making s-l-o-w progress. I have finished the extension of the geometric pattern from the corner patch to the surrounding area and have added a couple silk ribbon flowers to mirror those on the original kimono fabric. In the other bottom corner of the block I have now added two buttons, one large vintage brass one and a heart shaped one and strings of metallic beads between the two to counter the metallic trim I added around the central kimono fabric. Under the buttons and beads I sewed down a meandering strip of kimono trim. I finished off my silk ribbon and bead lanterns by adding a second section of beading lower down on each. I thought about trying to paint florals on the silk ribbons but then gave my head a shake on that one. Too tiny and complex - would likely end up a recipe for disaster. I have added one seam treatment of buttonhole fan shapes, in Glorianna Princess Petite Pearl silk thread in an absolutely gorgeous variagated colour called "Harvest Grape". So, that is as far as I have got on this one. Hopefully I will be able to finish it before too long since the block seems to have decided to speak to me finally! 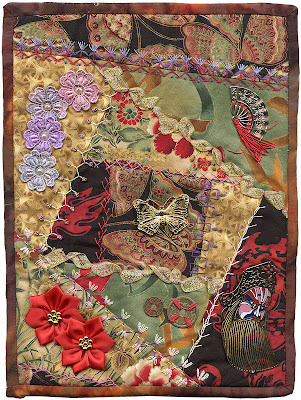 This is the little quilt, Asian Dreams, that I made for the Alzheimers Art Quilt Initiative (AAQI). The 10 day auction for June will reach the halfway point tomorrow. If you check out the auction page for this item, there have been two bids so far and the price is currently sitting at $45.00, with 86 viewings of the page. I am embarrassed to admit though that way over half those viewings are likely me, checking to see how my little quilt is doing and how much it is raising for Alzheimer's research! There are some really wonderful quilts in this month's auction and the bidding on some of them is still low so have a peek! If your blood pressure can't take the excitement of bidding and waiting to see if you will win out or not, why not have a look at AAQI's quilts for sale? There is a big collection available right now and it is never too early to start thinking about Christmas, is it? So, here is a question for you...If you were going to give a Priority: Alzheimer's Quilt, who would you give it to and why? It is so boring today! All the campers but one have left and they are serious fishermen who I never see except when they are putting their boat in the water or taking it out. It is cold and grey and the predicted thunderstorms are threatening to start. Soooo bored I can't even read! I finished a good one yesterday though. Rockwood, written by Frank Parker Day in 1928, was a CBC Canada Reads winner in 2005, which is a high recommendation in my books. Also, since we had visited the south shore of Nova Scotia while on holidays in April, I was doubly intrigued when I saw the book at the local library. I enjoyed the book very much, including the "down home" dialect. Good read! I took some photos at Peggy's Cove on the south shore while we were there. I really think it must be one of the most photographed and painted places in Canada - certainly one of the most picturesque. According to legend, Peggys` Cove was named after the only survivor of a schooner that ran aground and sank in 1800...a woman named Margret. Local folk called her `Peggy` and her home came to be known as Peggy`s Cove. While at Peggy's Cove, we also visited the memorial to the victims of the Swiss air disaster. It is a beautiful, tastefully done memorial to those who perished: one solid stone split exactly down the centerand separated, both sides polished and engraved. Regular readers may remember Bear, the puppy I got last summer. Well, she was a very funny looking puppy indeed but she has now pretty well grown into herself and is a pretty little thing. This is her habitual seat on the top of the sofa in the trailer. She loves being back at the lake and doesn't want to go back home again! My block for Hearts and Hands for Sendai has turned into what Sharon B likes to call "slow cloth". I have a good idea of where I am going on it - it is just taking me a long time to get there. This is where I am so far - thought it might be interesting to explain how my ideas progress. The guidelines for the block were that it was to be 8", in jewel tones. I took that pretty literally and went for sapphire, ruby, amber, amethyst. emerald and gold. The two prints are precious little kimono fabric scraps, well at least precious to me! lol I chose these two because the geometric design is mirrored in both. On the central piece, I was trying to make a tiny piece of fabric go too far and as a result the edges started fraying. I had to add a trim around it, going with gold and silver and I'll have to tie that in further along. On the center piece of kimono fabric I stitched over the lines of the geometric design with Gloriana Princess Petite Perle silk thread in a matching mauve colour. More embellishing of this patch is in the plans. In the bottom corner on the kimono fabric I wanted to bleed the pattern out onto the adjacent blocks and have started that but need to do some frogging where I messed up. This is where my limited stash at the trailer did me in. It would have been so simple to use tracing paper or Press n Seal to copy the pattern and use it as a stitch guide. Alas, no such things in the summer stash. So, I eyeballed it and it hasn't worked yet as well as I want. By now, I am sure you are wondering what that is I am building in the top corner! I did some research before I started the block because I wanted to reflect some of the beauty of Sendai. 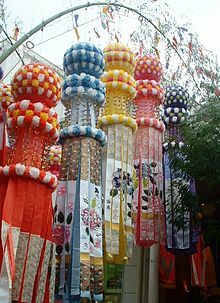 This is one of the photos I came across on my search, decorations used in the Tanabata Festival in Sendai. I am trying to create a reasonable facsimile with beads and silk ribbons, as shown below. This is still in progress and hopefully will get at least a bit closer to what I intended it to look like before I'm done. So, that is where the block is right now - I hope when I am done it will come together and work. Some of the other photos I found that I am working with in my plans for the block are below. - the skyline of Sendai - I would like to do this in a silhouette with the sky above being a thin film made of angelina fibers. 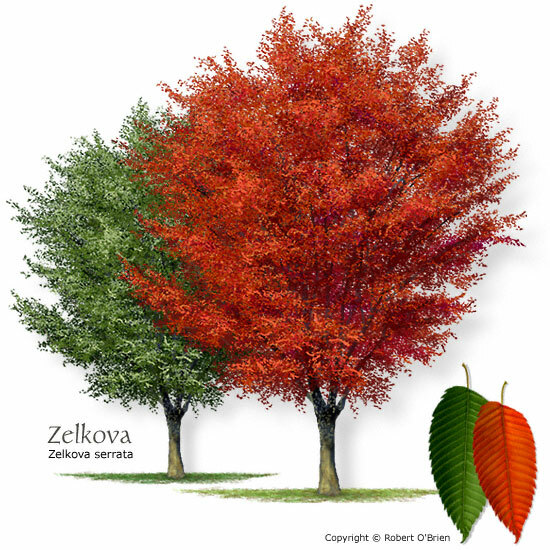 The Selkova trees, since Sendai is called the City of Trees, if I am remembering correctly. Wish me luck!